Are you looking for the most reliable builder Southampton has to offer? Acorn Building Contracts provides a comprehensive service for a number of different domestic and commercial projects. Whether you are looking to extend your home or require interior decorating, each Southampton builder we employ has a diverse set of skills to help you achieve your dream home. Trying to find a trustworthy builder in Southampton can be tricky. We understand that undergoing any home renovation or construction is a big investment, which is why we want to make the process simple for you. At Acorn Building Contracts, we provide a completely bespoke service that allows you to bring your vision to life. With each Southampton builder possessing a wide range of skills, we can enlist a team to complete your project efficiently and to the highest standards. You’ll be able to work alongside us from design through to installation so that we can tailor your construction to your exact requirements. No project is too big or too small for our builder Southampton team and with our experience in all areas of the construction industry, we guarantee you won’t be disappointed in the results. Loft conversions have become an increasingly popular way to increase space within your property without having to sacrifice your garden land. Loft conversions are also extremely easy for our builder in Southampton to complete, meaning it is the most efficient way to create new space in your home. 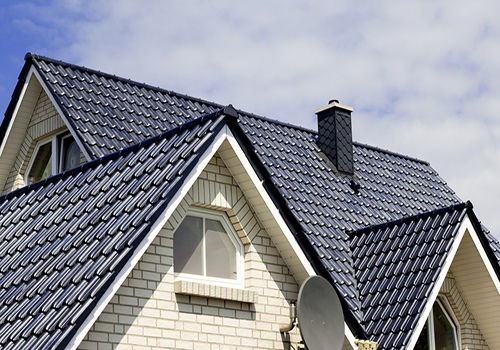 Your loft has the potential to be whatever you want it to be and our builder Southampton team can provide a FREE consultation and design visit to discuss whether a dormer, roof light or hip to gable conversion is right for you. When you choose are builder Southampton service, you could be enjoying your brand new loft conversion in no time at all. The best thing about this type of construction is that you do not need planning permission. Our Southampton builder has a wealth of experience in this type of project and will ensure your room is constructed efficiently and safely with only the highest quality materials. If you don’t have the loft space, then our builder in Southampton can work with you to design a beautiful home extension. You have much more freedom with a home extension to design it in the shape and style that you wish. Our Southampton builder team will take the time to discuss your ideas and will be happy to provide suggestions if you are unsure of what you want. We take the time to pick our materials carefully, and everything will be run by you to ensure you are 100% satisfied with the choice made by your builder in Southampton. We will match all materials to complement your existing foundations and all of the windows and doors will match your existing features for a seamless finish. Whether you are looking to undergo a large renovation or a simple conservatory extension, our builder Southampton team work with the same care and attention on every project. We know your home is your pride and joy, which is why our builder in Southampton will work to finish your project promptly with minimal disruption to your day-to-day schedule. We will always leave your home clean and tidy upon completion so that you can begin enjoying your new construction right away. 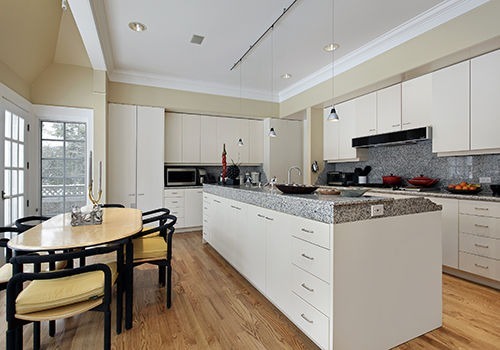 Whether you want a breakfast bar or integrated appliances, just let our Southampton builder know and we will draw up a plan for your dream kitchen there and then. Once you are happy with the design, we will get to work to transform your kitchen into your favourite room of the house. Whether you’re looking for a complete home renovation or a few maintenance jobs, we are the ones to do the job. We are passionate about providing beautiful renovations that our customers can be proud of, at affordable prices that don’t break the bank. Our Southampton builder team have over 25 years of experience in the construction industry and every member of our team has the necessary insurance and health and safety training to ensure your project runs smoothly. Recognised by Checkatrade, we pride ourselves on our exceptional customer experience which is second-to-none compared to any other Southampton builder. If you’d like to see why our customers rate us so highly, have a read of our testimonials on our home page. If you have any queries about our builder Southampton service, do not hesitate to get in touch with a member of our friendly team who will be happy to help. If you’re unsure of what you are looking for, have a look at our gallery for some home inspiration. 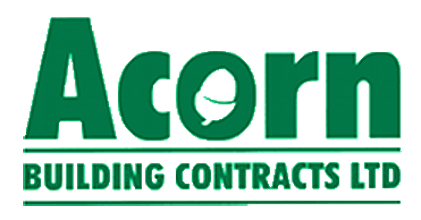 For the most reliable builder Southampton has to offer, get in touch with Acorn Building Contracts today. Call us on 02380 243336 or email us at acornbuilding@gmail.com.